Reel Talk Online: First Look: "The Fighter"
Looks like Oscar season may be under way! Previous Oscar nominee Mark Wahlberg (The Departed)stars as real-life 80s boxer "Irish" Micky Ward in The Fighter, which follows Ward's rise to fame in his career. 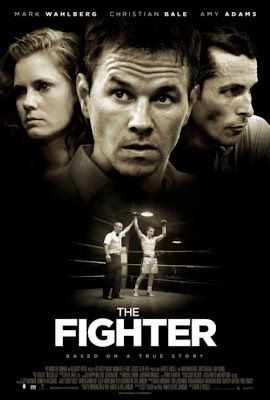 Borrowing much of its premise from Rocky (another Oscar bait), The Fighter also shows a nearly emaciated Christian Bale (as Ward's brother, and biggest supporter Dicky), who's life is riddled with drugs and bad choices. Fellow Oscar nominees Melissa Leo and Amy Adams also costar. Check out the exclusive new trailer below. The Fighter blows into theaters December 10. Really looking forward to this film. Hopefully, Christian Bale will finally get his well overdue Oscar nod! Can't wait for this! Castor's right, Bale's Oscar is long overdue. Plus shirtless Mark Wahlberg = win.